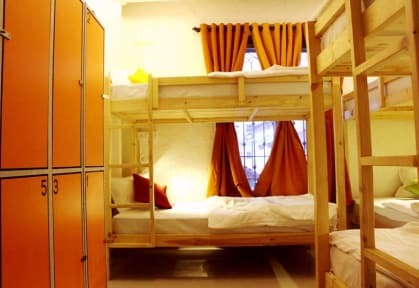 Cohostel is a hip and vibrant hostel, located in Bandra, the most cosmopolitan suburb of Mumbai. For the traveller who’d want to sink into the culture, vibe and the nightlife of the city, Cohostel is perfectly located in the liveliest part of the town. The thoughtfully designed dorms at Cohostel have a capacity of 6, each with an attached washroom. Each of the air-conditioned bunks is 3 feet wide and is equipped with a 6” thick mattresses, premium linen, reading lights, and 2 sockets. You can stove away your valuables in the private lockers of the dorm. The rooftop space at Cohostel is the perfect place to chill and mingle with 35 other like-minded travellers. From beginning your day with a complimentary breakfast to chilling with a book during the lazy afternoons in the cozy corner or then catching a movie on our in-house projector in the evenings, there’s enough to do in case you wish to stay indoors. If you’re hungry, you can cook-up a meal at the fully-equipped rooftop kitchen, or then order from our in-house café menu. And then there are board games to break the ice with your fellow-travellers and complimentary wi-fi for you to work or connect with friends. 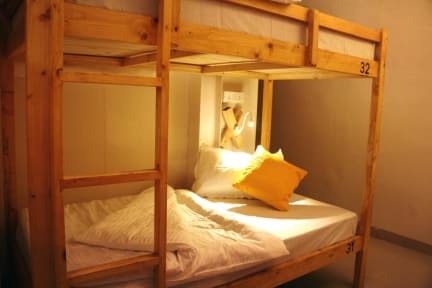 If your travelling solo and would like to make 35 new friends or if you travelling with a friend and would like another pair to join you or then if you're more than two and would like to chill with your gang, Cohostel is the perfect space for you to stay, chill and soak in the lively vibe and cosmopolitan culture this city which never sleeps. 2. Check in from 13:00 to 23:00. Later check-in is possible, if requested for in advance. Early check-in and late check-out is subject to availability. 4. Payment upon arrival by cash. Credit card/debit card is accepted. 6. Age Restriction: We have an age restriction of 10 years as the lower age limit. However, any one above 10 years and below the age of 15 years must be accompanied by an adult. 10. In case of reservation of 4 or more persons, which qualifies as a group booking, cancellation should be made 7 days prior to check-in date to get a full refund. 11. Valid photo ID along with address proof for Indian citizens and a valid passport and visa for foreign nationals is required during check-in. Local residents/guests carrying a local ID would not be allowed to check in.